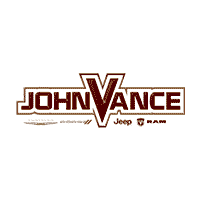 Getting behind the wheel of the RAM 2500, Jeep Cherokee, Jeep Renegade, Dodge Charger, or Chrysler Pacifica you have your eye on is easier than ever when you shop at John Vance Motors. That’s because we offer auto loans and Chrysler, Dodge, Jeep, Ram leases catered to each and every one of the drivers we serve from Edmond, Oklahoma City, Yukon, and Stillwater, OK.
With our car financing team of experts’ help, that new Chrysler, Dodge, Jeep or Ram vehicle or even that used car is well within your reach! Can’t wait to see how we can make that new vehicle purchase attainable? Just fill out our quick and easy finance application at your convenience. We’re also on hand, at our dealership in Guthrie, OK to answer any of your auto financing questions. Just give us a ring or stop in today!